Have you outgrown your home but don’t want to go through the hassle of moving somewhere else? Are you tired of the lime green toilets in your bathroom that have been there since the 80’s? If you are ready to give your San Diego home a face lift but don’t have the cash on hand to get started, we can help! Our experienced lenders will help you get funding for your remodel or addition project. We will help explore all of your options so that you can determine what will be best for you in the long run. If you are planning on selling your home in the near future, we can help you get the money you need to make updates and get top dollar. If your Temecula property needs to grow a little in order to accommodate your growing family, we can help you get the money to create a space that will help you live comfortably for years to come. Home Equity Line of Credit – If you have enough equity in your home and you already have a low 1st mortgage interest rate, you may consider a Home Equity Line of Credit (HELOC). The loan process is simple and much less expensive than getting a construction loan to do your work. A HELOC works similarly to a credit card in that you only borrow the amount that you need. As you pay off the principal, the balance on the line of credit is paid off freeing up more credit that you can borrow off of. We have associates that can help you do that. Cash-Out Refinance – If you have enough equity in your home but your 1st mortgage interest rate is higher than the current market rate, you may want to consider a Cash-Out Refinance. This type of loan can help save you money by lowering your rate as well as provide the cash you need for your remodel project. Construction Loan – If you don’t have enough equity in your home to accomplish your remodeling goals, then a construction loan is your best option. When your construction loan funds, your existing loan will be paid off and the remaining balance will be put into an account where you can draw from throughout the construction process. Interest will be paid on the funds as they are dispersed. This can be done as a Construction To Perm Loan! 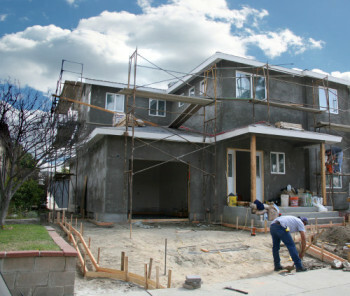 Although we specialize in helping people in San Diego or Temecula secure funding for their remodel or addition, we can help anyone in California get the money they need. Call us for details (800) 688-2494.